When it comes to sound recording, nothing can beat Audacity. The Native 'Sound Recorder' hasn't changed a lot from the Windows 9x days and it is definitely worth giving a try with Audacity. 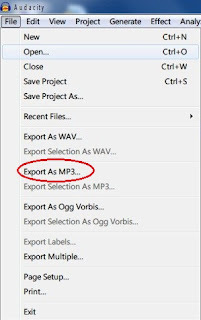 If you are a podcaster, you might probably be using Audacity now and must be aware of the fact that it doesn't let you save your recordings using MP3 format, In this post, I am going to guide you towards saving a recording in MP3 format within Audacity without using any third-party converter. LAME MP3 Encoder is required to save MP3 files on Audacity. Click here to download it. Restart Audacity and go to File > Export as MP3 where audacity will ask for the location of the LAME dll file. Locate it correctly (You don't have to do this again, unless the LAME encoder file is missing or you re-installed Audacity. 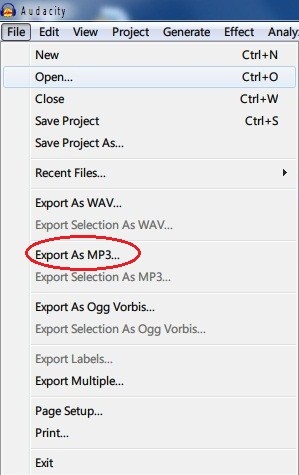 From now on use the 'Export as MP3' option to save files. The LAME MP3 Encoder is also available for Mac and Linux users where you will be supposed to do a similar procedure. In case you haven't used Audacity before, I strongly recommend you try it. Audacity can be downloaded here.